Bates Jet MLS investor and sales partners add value to our community of aircraft buyers and sellers throughout the U.S. and world. For years, Bates Jet has formed dedicated alliances with aircraft sales professionals in the U.S. and abroad. These partners provide extraordinary value to Bates Jet Multiple Listing Showcase that aids our service to buyers and sellers of aircraft. Our team of dedicated sales professionals along with our research staff, adds to our knowledge base in aiding customers with their acquistions. Bates Jet is always seeking new sales partners. If you have an interest in working with us and are domiciled in U.S., Europe, Middle East or Asia please contact us. We'll tell you about our commission sharing program. 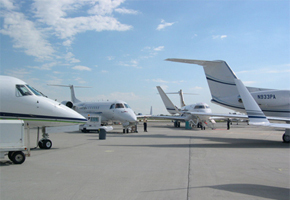 Bates Jet has forged alliances with investment partners who have invested in aircraft for use in business situations. We've also provided economic opportunity to aircraft owners by placing their aircraft in revenue generating programs which have reduced their costs of aircraft ownership. Currently, Bates Jet has identified huge opportunities in an already burgeoning industry. Consequently, Bates Jet seeks investment partners for several programs. If you are an accredited or institutional investor please contact our office for more details regarding these programs. If you have an interest in becoming a part of our network of Partners and investors please contact our office in Maryland.